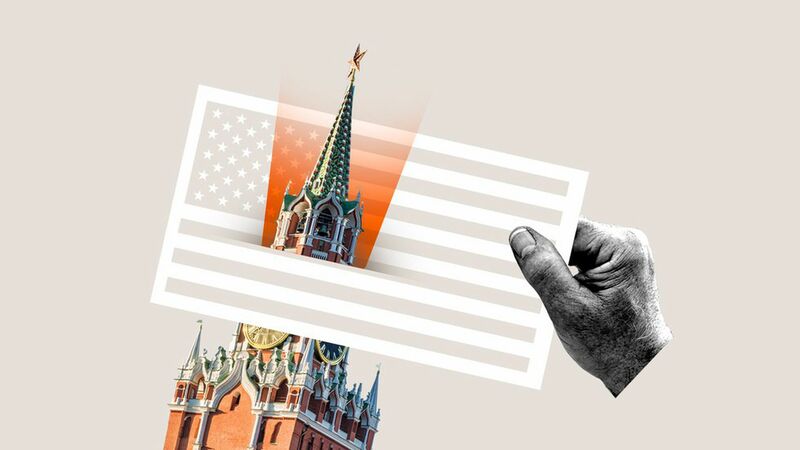 New revelations show hyperawareness of Russian actors, some potentially backed by the Russian government, using mass media to influence the American public and in some cases imperil the American democratic system. The FBI is investigating whether the Russian government-funded news agency, Sputnik, has been operating as an undisclosed propaganda arm for the Kremlin, which would be in violation of the U.S. Foreign Agents Registration Act (FARA), per Yahoo News. A new report from The Daily Beast finds that Russian operatives (using false identities) used Facebook's events tool to organize and promote political protests in the U.S. A Facebook spokesperson confirmed to the Daily Beast that it "shut down several promoted events as part of the takedown we described last week." Both revelations come just days after Facebook told authorities investigating Russia's influence on the 2016 election about thousands of ads that were likely linked to Russia, many of which were connected to "inauthentic" accounts and pages and focused on drawing attention to divisive social issues. In a scrum with reporters last week, top Senate Intel Democrat Mark Warner argued that digital ads need to become more transparent. "If the law needs to be changed to meet 2017, 2016, 21st century standards, let's have at it," Axios' David McCabe reports. The Intercept, a digital news outlet dedicated to leaking whistleblower documents, is calling for Mark Zuckerberg to testify before Congress. Sen. Warner told McCabe he hopes to bring "Facebook, Twitter, and social media firms" in for a public hearing. Lawmakers continue to press the Justice Department to strengthen current FARA laws, especially in light of investigations of collusion between Trump associates and Russian actors. Go deeper: I look at the regulatory big picture, especially for Google and Facebook, on the Axios stream. Spain's data regulatory body announced Monday that it's fining Facebook $1.4 million for using consumers' data without legal and explicit consent to help advertisers target ads. One big issue that was specifically addressed was Facebook's storing of data via cookies for up to 17 months after a user deletes his/her profile. Facebook says it intends to appeal this decision. "As we made clear to the DPA, users choose which information they want to add to their profile and share with others, such as their religion. However, we do not use this information to target advertisements to people," Facebook said in a statement. The investigation is a part of a coordinated effort between authorities in Belgium, France, Germany and the Netherlands to investigate whether Facebook complies with EU data privacy laws. Authorities from France's data privacy regulatory arm announced earlier this year they were fining Facebook 150,000 euros for violating data privacy standards. Belgium announced similar conclusions. Some European countries with access to broadband avoid social media. Per Pew, only 37% of Germans use social media, but 86% have internet access. The point: this anti-tech attitude stems from cultural trends favoring privacy. A new Pew survey asked people the degree to which certain resources would help them access information to make better decisions. Not surprisingly, consumers say they would benefit most from more mobile data, as opposed to library access or digital training. For media companies, the need for data means that consumers will continue to abandon slow or convoluted mobile websites or apps that waste mobile data to load. Data from Google suggests that 53% of consumers abandon a mobile site if it takes more than three seconds to load and 47% expect a page to load in less than two seconds. Across every age demographic, people are most likely to get news from Facebook, followed by Twitter and Reddit, according to a new Adobe study provided to Axios. Most respondents say they receive news consumption through social media as opposed to to television, news sites or print. The Adobe survey also shows that fewer than 10% of respondents indicate that they are very likely to pay for the ability to access news via social media. According to the poll, females (83%) and those over 35-years-old (86%) are particularly unlikely to do so. Why it matters: Facebook and Google have been tinkering with ways to help drive subscriptions to publishers' websites on their platforms, but according to this data, news consumers may not be so willing to pay for news products on social media sites. The Federal Trade Commission filed its first-ever case last week against social media "influencers." The FTC says that two popular gamers posted messages endorsing an online gaming service without disclosing that the two gamers owned the company. It also sent 21 warning letters to prominent social media influencers that it had previously warned about their potential violation of FTC standards. Why it matters: The ambiguity around "influencers" hawking products on social media sites has created an advertising frenzy on social media, with no clear distinction between who is sponsoring what. FTC acting chairman Maureen Ohlhausen says the Commission's first-ever action against individual influencers, "should send a message that such connections must be clearly disclosed so consumers can make informed purchasing decisions." Our thought bubble: Like the FTC's native advertising guidelines, these will be tough to enforce. A MediaRadar study earlier this year found that nearly 40% of media organizations don't comply with the FTC's standards for labeling and disclosing native ads. Worth noting: Influencers have a unique relationship with consumers that brands would kill to leverage. This is why some media companies are letting their own talent hawk products as influencers on their personal social media accounts. With this in mind, some of the biggest tech companies are trying to get a part of the action. Google & Microsoft are building software to identify influencers, according to CB Insights. "New patents aim to identify and encourage online experts and influencers — with implications for brands and content creators." The Media Rating Council (MRC), a self-governing industry body responsible for auditing media companies, and the China Media Assessment Council announced Tuesday that they will jointly audit three digital audience measurement services that have applied for MRC's stamp of approval in China: AdMaster TrackMaster, Miaozhen AdMonitor and Nielsen Digital Ad Ratings (DAR). Why it matters: These initial accreditations will form the basis for how we measure and audit Chinese media. This is especially crucial for major international advertisers. Meanwhile, ComScore announced Monday that the majority of its board would resign as a part of a major company-wide shakeup being done to address investor concerns over financial transparency problems, including problems that led it to be delisted from Nasdaq earlier this year. The company cut 7 of its 12 board members, announced an interim CFO and said it will form a special committee to reevaluate its business. Sound smart: The media measurement industry has become just as convoluted and competitive as the media industry it seeks to monitor. The bus tour trend: Media outlets like renting busses to explore the country and talk to local communities. The Huffington Post also announced a nationwide bus tour called "Listen to America" earlier this summer to over 20 cities. Staff members will host events to engage with local communities and cover local issues. CNN launched a camper tour for its social series #MyVote last year, stopping at key swing states and presidential debate sites around the country.